Thousands of pilgrims retrace the ancient trail of Santiago de Compostela each year, from the sweeping plains of Castilla and Leon, to the rolling hills and hidden villages of Galicia...and for good reason... The northern region of Spain has some of the most breathtakingly beautiful landscapes that the country has to offer. Its a journey, a time to reflect, an exhilarating sense of achievement when you finally arrive at your destination. Arrival in Leon. Explore the city in the afternoon, visiting the beautiful 13th century gothic cathedral and enjoying tapas in the ‘barrio humedo’, within the walls of the old Roman town in the evening. Drive through the flat plains of Castilla and Leon passing through Castrillo Polvazares, a perfectly preserved cobblestone street village from the 16th century, declared a site of historic and artistic importance in 1980. From Foncebadon, a 70m incline brings you to the Puerto del Hierro, the highest peak during this stage of the camino at 1500m. Here it is tradition to add a stone to the pile that already exists beneath the cross, a gesture the harvesters used to make when they came from Castilla to work in the fields. Enjoy the downhill walk to arrive in Molinaseca. Before starting the days walk, immerse yourself in the beauty of Galicia with sweeping views over the countryside from the charming mountain top village of O’Cebreiro. This is a beautiful stage of the camino passing though numerous small villages located in the region of Sarria, Paradela and Portomarin, boasting innumerable examples of roman architecture, winding country roads, medieval bridges and rustic pathways. Short transfer to Hospital da Cruz and enjoy the freshness of the countryside as you start the descent to Palas de Rei. Explore the roman churches, ancient pilgrim hospitals and the valuable ‘cruceiro de Lameiros’ a monumental cross which represents the death of Christ. You may choose to detour to Vila de Donas to visit the 12th century church of El Salvador. 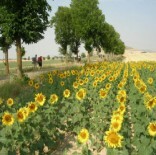 Apart from being the longest days walk, it is also one of the most challenging. This stage takes you from the limits of Lugo into A Coruna through the village of O Coto. Visit Leboreiro, with its medieval stone houses and the town of Melide famous for its delicious fresh octopus. Continue through the magical landscapes such as the Catasol River until you reach Ribadixo da Baixo and finally Arzua where the French Way joins the Northern Camino. Arzua to Arca is a relatively comfortable walk. 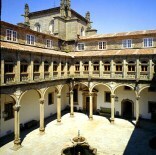 Most notable is the small chapel of Santa Irene and its baroque fountain with healing water, dating back to the middle ages. 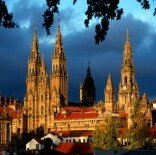 Upon arrival in Arca, you may spend the night and continue walking to Santiago the following day, or a short transfer will take you into the magical city of Santiago de Compostela to spend the night. If you arrived into Santiago de Compostela the previous night you can spend the day enjoying the city or take a day trip to Finesterre. 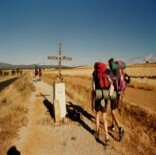 Alternatively, from Arca continue the final 20kms into Santiago.